Popular historic sites such as Tusayan Museum and Grand Canyon Railway Depot are in your itinerary. And it doesn't end there: trek along Rim Trail, take some stellar pictures from Lipan Point, explore the stunning scenery at Grand Canyon South Rim, and make a trip to Grand Canyon Village. To find other places to visit, ratings, reviews, and tourist information, refer to the Grand Canyon National Park trip planning tool . 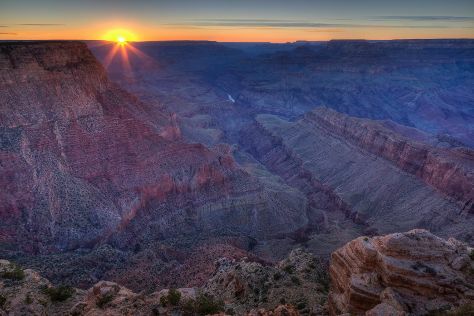 Houston to Grand Canyon National Park is an approximately 10-hour combination of flight and bus. You can also do a combination of flight, shuttle, and bus; or drive. The time zone difference moving from Central Standard Time to Mountain Standard Time is minus 1 hour. While traveling from Houston, expect little chillier days and much colder nights in Grand Canyon National Park, ranging from highs of 85°F to lows of 42°F. Finish your sightseeing early on the 4th (Tue) to allow enough time to travel to Yosemite National Park. Yosemite National Park is known for nature, trails, scenic drive, wildlife, and museums. 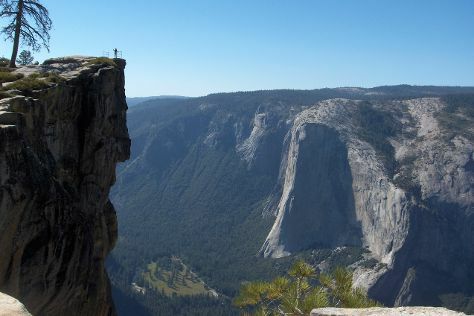 Your plan includes some of its best attractions: explore the striking landscape at Taft Point, take a memorable drive along Tioga Pass, don't miss a visit to Olmsted Point, and hike along Panorama Trail. To find out how to plan a trip to Yosemite National Park, use our trip itinerary maker. Traveling by combination of bus and flight from Grand Canyon National Park to Yosemite National Park takes 13 hours. Alternatively, you can do a combination of shuttle and bus; or take a bus. The time zone changes from Mountain Standard Time (MST) to Pacific Standard Time (PST), which is usually a -1 hour difference. Traveling from Grand Canyon National Park in June, you will find days in Yosemite National Park are slightly colder (79°F), and nights are about the same (43°F). Cap off your sightseeing on the 7th (Fri) early enough to go by car to San Francisco. Deepen your sense of the past at sights like Alcatraz Island and SS Jeremiah O'Brien. You'll find plenty of places to visit near San Francisco: St. Helena (Anderson's Conn Valley Vineyards & Modus Operandi Cellars). Dedicate the 10th (Mon) to wine at some of the top wineries in the area. The adventure continues: take in the waterfront at Fisherman's Wharf, snap pictures at Golden Gate Bridge, get curious at Exploratorium, and take a stroll through SoMa. To find more things to do, traveler tips, photos, and more tourist information, use the San Francisco online journey planner . Traveling by car from Yosemite National Park to San Francisco takes 4 hours. Alternatively, you can do a combination of car and flight; or do a combination of bus and flight. When traveling from Yosemite National Park in June, plan for slightly colder days in San Francisco, with highs around 71°F, while nights are somewhat warmer with lows around 55°F. Finish your sightseeing early on the 11th (Tue) so you can travel to Honolulu. You'll enjoy a bit of beach vacationing at Waikiki Beach and Kapiolani Regional Park. Bring the kids along to Kailua Beach Park and Waimea Bay. Go for a jaunt from Honolulu to Haleiwa to see Sunset Beach Park about 1h 05 min away. It doesn't end there: browse the exhibits of USS Arizona Memorial and examine the collection at USS Bowfin Submarine Museum & Park. For other places to visit, reviews, more things to do, and tourist information, you can read our Honolulu day trip app . Traveling by flight from San Francisco to Honolulu takes 7.5 hours. Alternatively, you can do a combination of train and flight. You'll gain 2 hours traveling from San Francisco to Honolulu due to the time zone difference. Plan for somewhat warmer temperatures traveling from San Francisco in June, with highs in Honolulu at 86°F and lows at 74°F. Wrap up your sightseeing on the 14th (Fri) early enough to travel to Seattle. Kick off your visit on the 15th (Sat): examine the collection at The Museum of Flight, admire nature's wide array of creatures at Woodland Park Zoo, then admire the masterpieces at Chihuly Garden and Glass, and finally take in panoramic vistas at Space Needle. Get ready for a full day of sightseeing on the 16th (Sun): wander the streets of Pike Place Market, find something for the whole family at Seattle Great Wheel, then meet the residents at Seattle Aquarium, and finally tour the pleasant surroundings at Alki Beach. For other places to visit, reviews, more things to do, and tourist information, go to the Seattle driving holiday website . Fly from Honolulu to Seattle in 8 hours. The time zone difference moving from Hawaii Standard Time (HST) to Pacific Standard Time (PST) is 2 hours. 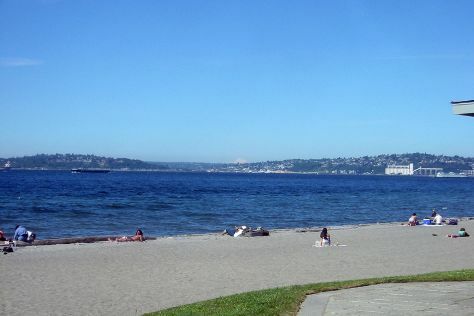 Prepare for little chillier weather when traveling from Honolulu in June: high temperatures in Seattle hover around 74°F and lows are around 57°F. Cap off your sightseeing on the 16th (Sun) early enough to travel to Provincetown. 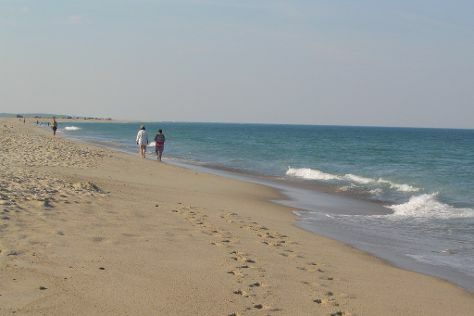 Your itinerary includes some good beach time at Cape Cod National Seashore and Nauset Light Beach. Attractions like Nauset Beach and Race Point Beach make great kid-friendly stops. Go for a jaunt from Provincetown to Eastham to see Cove Burying Ground about 44 minutes away. There's much more to do: kick back and relax at Long Point, appreciate the history behind Pilgrim Monument & Provincetown Museum, do a tasting at Truro Vineyards of Cape Cod, and stroll through Marconi Beach. To find ratings, maps, more things to do, and more tourist information, read our Provincetown road trip planner . Traveling by flight from Seattle to Provincetown takes 8.5 hours. Alternatively, you can do a combination of flight and ferry; or drive. The time zone changes from Pacific Standard Time to Eastern Standard Time, which is usually a 3 hour difference. In June, plan for daily highs up to 72°F, and evening lows to 56°F. Cap off your sightseeing on the 20th (Thu) early enough to travel to New York City. Bring the kids along to Central Park and Statue of Liberty National Monument. Deepen your sense of the past at sights like 9/11 Memorial and St. Patrick's Cathedral. There's lots more to do: admire the masterpieces at The Metropolitan Museum of Art, enjoy breathtaking views from Top of the Rock, admire the striking features of Rockefeller Center, and steep yourself in history at Ellis Island. For maps, reviews, ratings, and other tourist information, you can read our New York City online trip maker . You can fly from Provincetown to New York City in 5.5 hours. Other options are to drive; or do a combination of ferry and train. Plan for a bit warmer temperatures traveling from Provincetown in June, with highs in New York City at 80°F and lows at 65°F. Wrap up your sightseeing on the 24th (Mon) early enough to travel to Orlando. Kids will appreciate attractions like Discovery Cove and Walt Disney World Resort. Pack the 27th (Thu) with family-friendly diversions at Universal's Islands of Adventure. Pack the 28th (Fri) with family-friendly diversions at Universal Orlando Resort. For more things to do, maps, reviews, and other tourist information, read Orlando tour planner . Fly from New York City to Orlando in 6 hours. Alternatively, you can do a combination of bus and flight; or drive. Plan for a bit warmer temperatures traveling from New York City in June, with highs in Orlando at 91°F and lows at 73°F. Finish your sightseeing early on the 28th (Fri) so you can drive to Key West. On the 29th (Sat), explore the different monuments and memorials at Key West Cemetery, examine the collection at Mel Fisher Maritime Heritage Museum, then examine the collection at The Ernest Hemingway Home and Museum, then look for all kinds of wild species at Key West Butterfly & Nature Conservatory, and finally shop like a local with 7 Artists & Friends. Keep things going the next day: take a tour by water with Boat Tours & Water Sports, take in the exciting artwork at Alan S. Maltz Gallery, then steep yourself in history at Truman Little White House, and finally steep yourself in history at Curry Mansion. To find more things to do, other places to visit, reviews, and other tourist information, go to the Key West holiday planning app . Drive from Orlando to Key West in 7.5 hours. Alternatively, you can take a bus; or do a combination of train and bus. Traveling from Orlando in June, Key West is a bit warmer at night with lows of 79°F. Cap off your sightseeing on the 30th (Sun) early enough to travel back home.